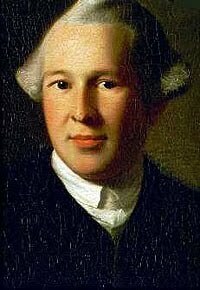 Today CSI: Colonial Boston enters a three-episode story arc involving the most famous case of forensic medicine during the American Revolution: the identification of Dr. Joseph Warren’s body after the Battle of Bunker Hill. It turns out that, because the doctor kept being buried and dug up again, there were actually multiple identifications. The first occurred on 18 June 1775, the day after the battle. According to Samuel Swett’s 1818 study, “In the morning young Winslow of Boston, recognised the body of Warren, and announced the fact.” This young man was John Winslow (1753-1819), a clerk in the hardware store of his uncle, selectman Jonathan Mason. It’s not clear to me what he was doing on the battlefield. 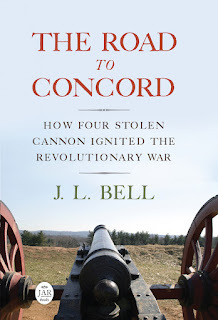 [Gen. William] Howe would scarcely credit the account; it was so improbable that the president of [Massachusetts Provincial] Congress was in the battle. Dr. [John] Jeffries was on the field dressing the British wounded, and the wounded American prisoners, with his usual humanity and skill. Howe inquired of him if he could identify Warren; he recollected that he had lost a finger nail and wore a false tooth, and informed the general that Warren had five days before ventured over to Boston in a canoe to get information, invited Jeffries to join the Americans as surgeon, and informed him that he was himself to receive a commission in the army. Warren was instantly recognised, and the enemy declared this victim alone was worth five hundred of their men. I don’t actually believe all of this. Dr. Jeffries was a Loyalist and army surgeon during the war, and settled in Britain afterward. Having spent a lot of his money on ballooning, he decided to return to his home town of Boston and rebuild his practice there. Jeffries succeeded and became very popular by the end of his life, as Swett’s praise of his “usual humanity and skill” indicates. But I think he’s a slippery character. In particular, that anecdote about Dr. Warren crossing the Charles River on a canoe on 13 June 1775 seems dubious. Jeffries is apparently the only source for it. And with Warren dead, who could contradict him? Did Warren really risk being captured by the Crown when he had thousands of men ready to spy for him and Boston was leaking information like a sieve? Would he really have tried to recruit Jeffries, who had been aligned with the Crown for years? Did Jeffries really tell Gen. Howe right after the horrible battle that, oh, by the way, he’d had a secret meeting with the head of the rebellion, but hadn’t bothered to mention it to any royal authorities at the time? I’m happy to accept that Dr. Jeffries helped to identify Dr. Warren’s body for the British army. As for the other details, who benefited most in the 1800s from a tale that the great Warren had thought so highly of Jeffries’s medical skills as to recruit him for the American army? TOMORROW: Identifying Dr. Warren’s body again. An added note on Winslow: he is also referred to as "Gen. Winslow" in the New England Historical and Genealogical Register of 1858, Vol. 12, p. 118, though he may just be referring to Swett. John Winslow became a general in the Massachusetts militia.